Personality and Friendships: Jada is quite the cute, spunky, and kissable 3-year-old girl She loves to be surrounded by bright colors. When she is wearing a colorful dress her nannies will say, “Jada, you are so cute!” She can’t help but smile when she hears their praises. Jada is also very interested in any toy that is brightly colored. 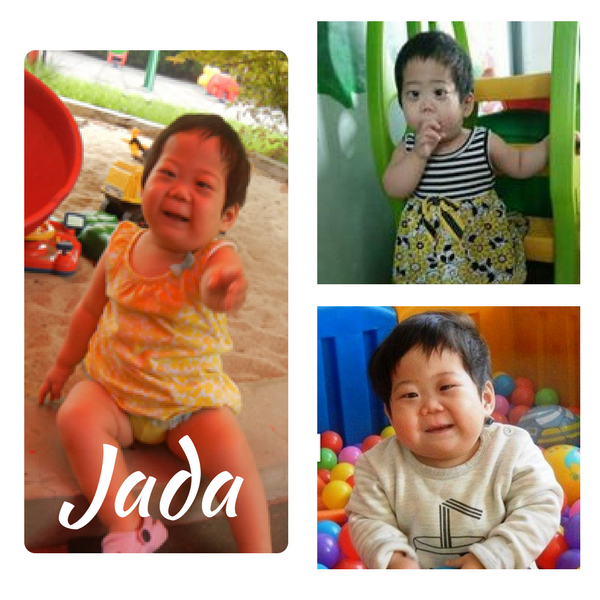 Jada loves to play with puzzles, swim in the pool, and play with her friends outside. When she’s in school, she sticks close to her best friend who looks up to her as a role model. Environment: Jada is currently under the wonderful care of New Hope Foundation. Development: Jada can run independently and can go up the stairs on her own. Her nannies say that her language skills are delayed, but she can say “mama” and will use simple gestures to express herself. Education: She is currently in pre-school and doing very well. Jada’s favorite song is ‘Row, Row, Row Your Boat’ and she loves to do the motions while singing it. She is a curious little girl, full of life. She is always eager to learn and her teachers say she has a tenacious, yet sweet, spirit. 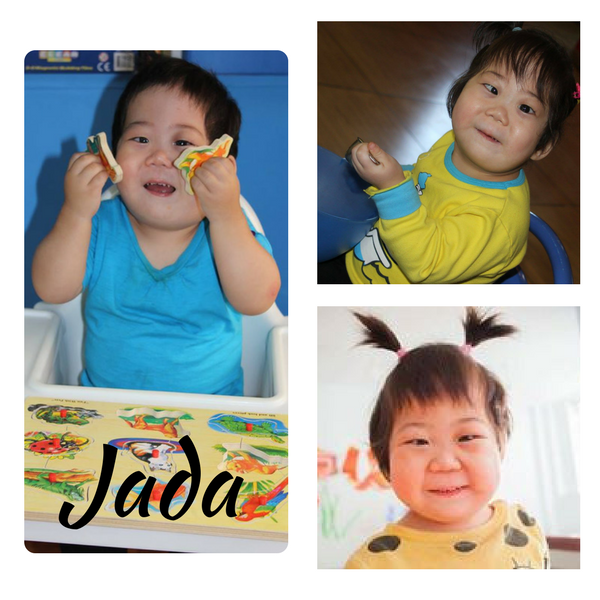 Medical/Special Needs: Jada has been healthy and has had her cleft palate repaired. She does not have any issues with swallowing. 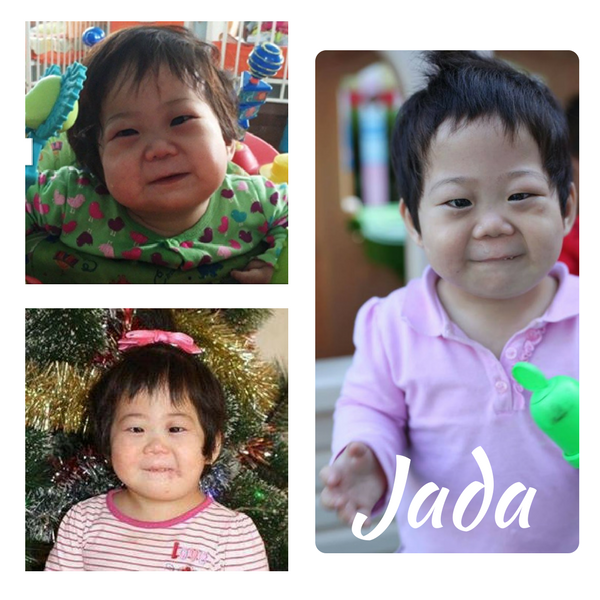 In addition to her cleft palate, Jada was also diagnosed as having glaucoma and brain damage. 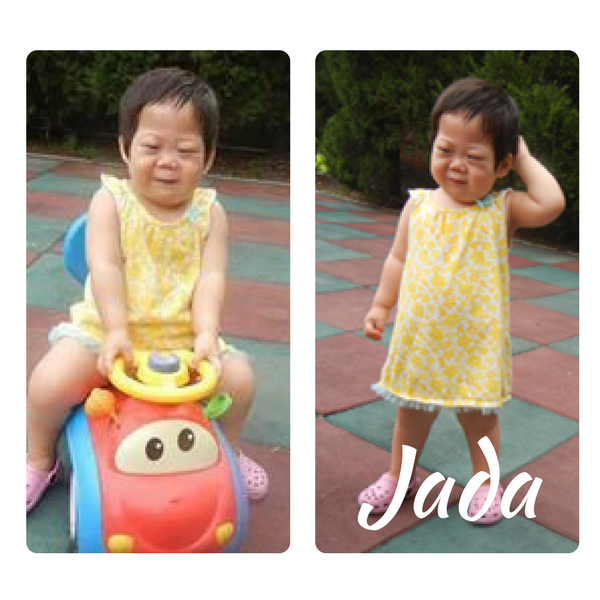 Brain damage is very common diagnosis children from Jada’s province are given. Her care center never mentions it as being an issue. Jada can see and, though she has to work a little harder, she doesn’t let her visual impairment stop her one bit! Agency and Grants: Jada is currently listed with Madison Adoption Associates. There is a $500 agency grant for Jada’s adoption with Madison. Other grants may be available based on the adoptive family’s circumstances. Agency grants are awarded as agency fee reductions. MAA also partners with the Brittany’s Hope Foundation for matching grants, which are given out twice a year January and July) and to families that are officially matched with a child. At this time, Jada needs a family with an approved home study to be able to hold her file or move forward with adopting her. If you have an approved home study or a home study in process and are interested in adopting Jada, please fill out a free PAP Waiting Child Review Form, which can be found here.